We gather together in the kitchen, to share stories, laugh, and bake together. And then we share a seasonal meal, made with local ingredients, all of it delicious. And of course, it’s all gluten-free. Welcome to the gluten-free girl baking classes! 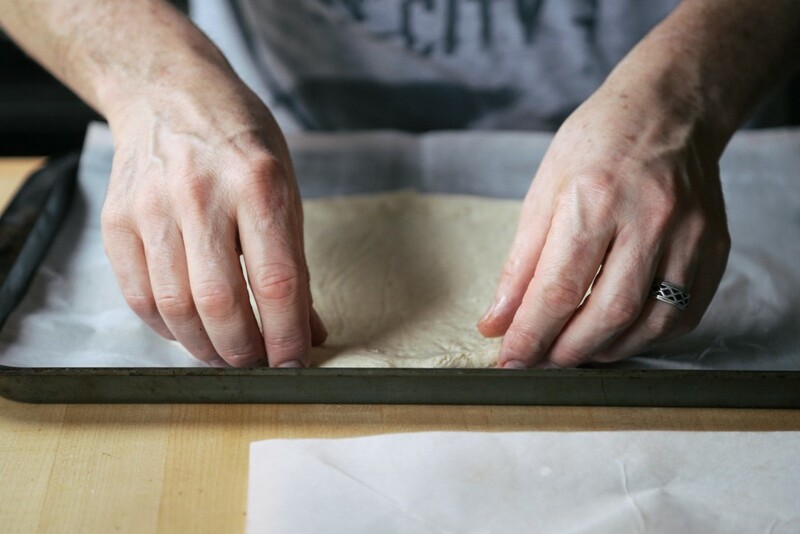 This summer, we’re teaching a series of baking classes in a private home on Vashon Island. It’s gorgeous here during the summer, all leafy green and blue skies. Would you like to learn how to make a fluffy yellow cake with chocolate frosting in time for all the summer birthday parties? Would you like to bake cherry pie together in July? Want to learn how to make sourdough bread? We’re here. Danny and I — a couple of goofballs who dig each other and what we do — are teaching the classes and cooking the feasts together. We can’t wait to meet you. For more information about dates and prices, go here. We’re teaching a series of 4 baking classes this summer. You could take one class, a few, or all four. The first one begins next Saturday! We’d love to bake with you. Please click on this link for more information and to sign up now. p.s. Some folks have already asked: can we do these classes online? We’re working on that. Maybe by the fall? Are kids allowed during classes? These are not classes geared for kids. If they are teenagers, then we can talk! Shoot me an email so we can talk about it more. Will you be doing any classes in the near future with your grain free flour blend? And when will it be available? Thanks! We will! And we’re hoping for the fall. I’d love to take all of your classes – alas…I am in Minnesota. I’m sure with your kids it would be challenging to offer your classes over the course of a couple days. I’d be interested in traveling to you for the classes. Let me know if you ever offer this. Thanks! And good luck with your ventures! Do you have a recipe for the lamb with potato purée you mentioned in the last post? I’m only asking here because while you didn’t respond to me when I asked there, you are responding to comments on this post. I would love to take these classes! But Pennsylvania is a bit too far to pop over to Vashon for the weekend! Any chance you will make these classes into a video format that we could purchase and download? Would love that! I second Molly’s motion! Video classes with Shauna and Danny. Awesome! I really like the idea of leading a class. It will open up so many more gluten free cooking options. If you get a minute I would like to invite you to checkout our list of the Best Cooking Blogs that features the Gluten Free Girl in it! http://www.listsforall.com/best-cooking-blogs/. Keep up the good work with your blog. These look amazing! I’m particularly interested in the bread class, but alas, I live on the east coast. On a side note: still no kickstarter reward? Please, please, please offer the bread classes online! Yay! One more vote for the online classes! And a question: I baked your sandwich bread from your book (huge thanks), and I would like to try a whole-grain version with the flour combination you use in your book. Do I simply use the whole-grain flours in the original recipe or are there any hydration tricks I should know about? I would really love to join the classes. I am in Philadelphia… I would love to do an online class series with you. Especially for the grain free sourdough bread. Do you bake with coconut flour at all?